Pliny the Elder (Rome, 1st C AD). Good old Pliny, always there with a pithy comment. The third week of November is the highlight of our year, when ten friends from four countries arrive on Via Palombaro to spend a week picking our olives, drinking the local garage wine, and catching up on what has happened in the U.S., the Netherlands, Namibia, England and Italy over the last year. 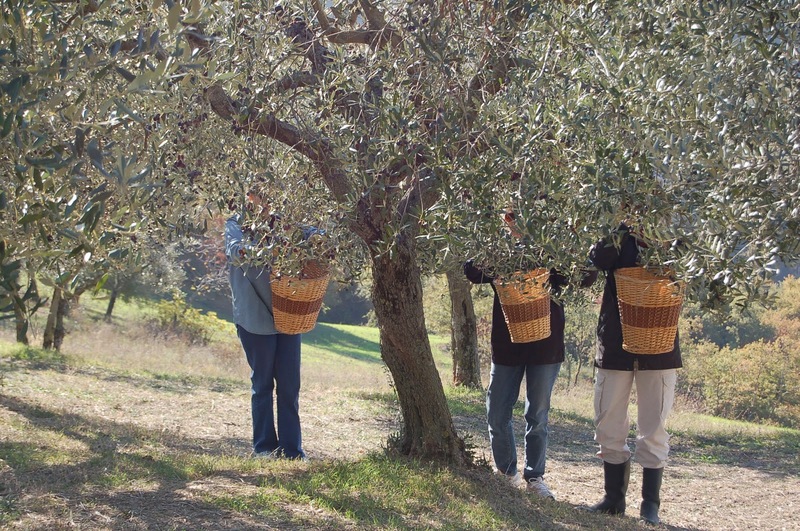 What is it about olive picking that is so engaging, so refreshing to mind and body? Is it the fresh air? Is it the respite from ongoing (and often tiresome) responsibilities? A chance to get back to basics, to the relationship between humans and the land? A moment to be with friends, without cell phones ringing or texting, appointments waiting, chores to do? There is nothing more satisfying than standing with your upper half hidden within a net of olive branches, filling the basket across your chest with the fruit that has emerged after another flinty Umbrian winter, drenched spring, and bone dry summer. Looking from the house, it seems that the olive trees have each grown a set of denimed legs. The aimless chatter of familiar voices emits from the trees like birdsong, spiced with laughter, hoots and hollers, and sometimes a song (our Swedish friend comes from Todi to pick with us and amuses himself by singing Scandinavian folk tunes). 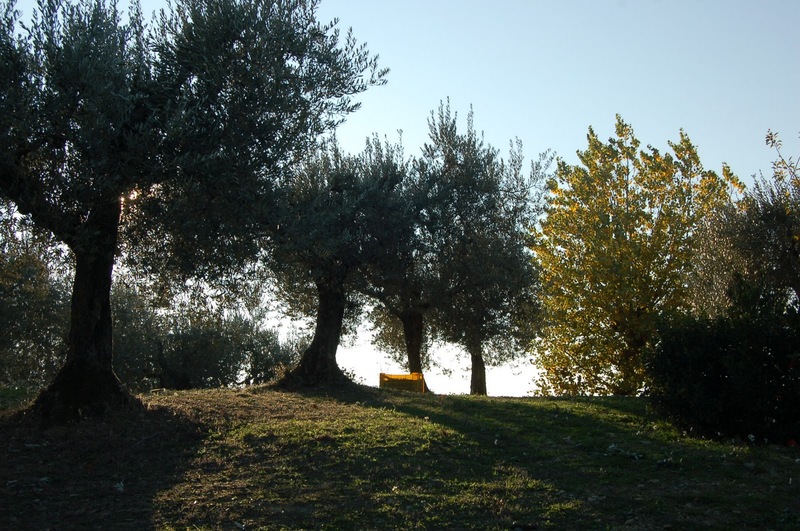 Occasionally, a mild expletive that soars across the field, when a basket full of olives is dropped, if the olives begin to roll off the net and down the hill, or if a ladder shifts, throwing its occupant to the ground. With regard to our friend, Pliny the Elder, we can’t say that the Olivistas exactly sip the wine during Olive Picking Week. We probably splash both the vino and the olio, if truth be known. 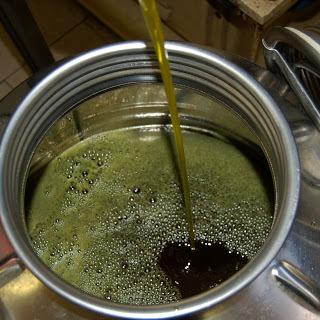 We work hard, we have fun, and we end up with something tangible and delicious: nuovo olio, the new oil, fresh, green, something we contributed to producing with our own hands. It’s not digital, it’s simply delicious. This morning we took the olives to the Press! Look what sailed over La Casetta Rosa today!